This Inuyasha wallpaper might contain anime, comic kitabu, manga, cartoon, and mkono. 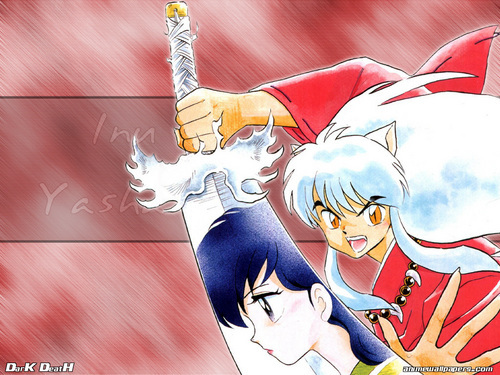 INUYASHA AND KAGOME BELONG TOGETHER!!!!!! I have hellopet my gf name kagome.. owh wow so cute..